Healthy. Pizza. It's hard to imagine these two words together right? Well, now you can. This is one place which has focused a lot on what goes in their food. It is not only the pizzas which have healthier ingredients (compared to other pizza places), but also their salads, sandwiches, and desserts. They are especially focused on vegan too! 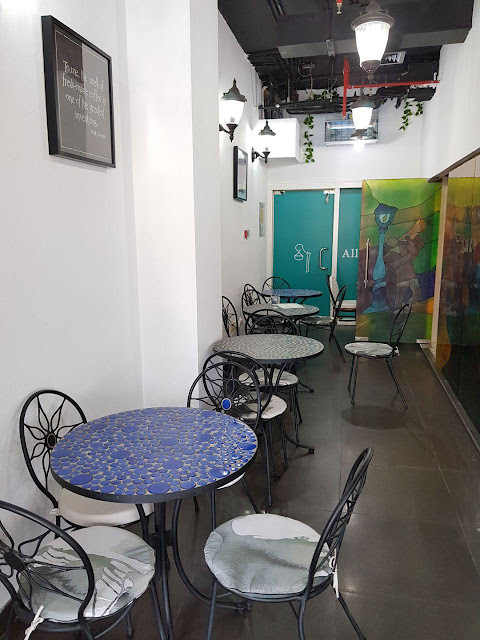 This outlet is in Sharjah and the location would mostly be suited for a takeaway, since the seating is very limited too. I was recently invited here to try out their delicious food. I've colour coded the savoury menu items: red for the ones that contain meat, and green for the ones that do not contain meat. Items that are vegan, are specifically marked. We started with a few of their salads. Now, just like me, if you aren't much of a "leafy" person, this is one salad which will still appeal to you. First things first. Yalla. That's what the name means in French. It's been recently acquired by new management and they invited me to try it out. The ambience is kinda cute, though not girly which I really admired. We were the only ones here on a weekday afternoon so we were liking the vibes. If there are more customers though, the tables might seem a bit too close. They have some interesting coffees and teas and those are their prime focus. Ironically though, I liked their food more than the tea/coffee. The coffee that caught my attention was the Deconstructed coffee. I hadn't heard of something like this before, so we ordered one. What they got us is a shot of espresso, half a glass of milk, and a glass of latte. They told us that we need to sip the espresso first, then milk, then latte. I did. I didn't get it though. What's the logic? You can't deny the fact that it is a catchy name, and they've made cereals fun to eat. Also, this place is kid friendly; they've got little beds and some games for children to play. A few of us were invited here for an event and had a great time. 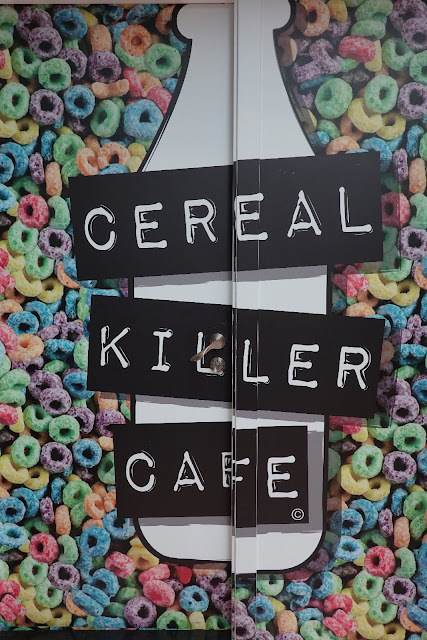 They've got a really wide variety of cereals available and you can certainly mix 'n' match. 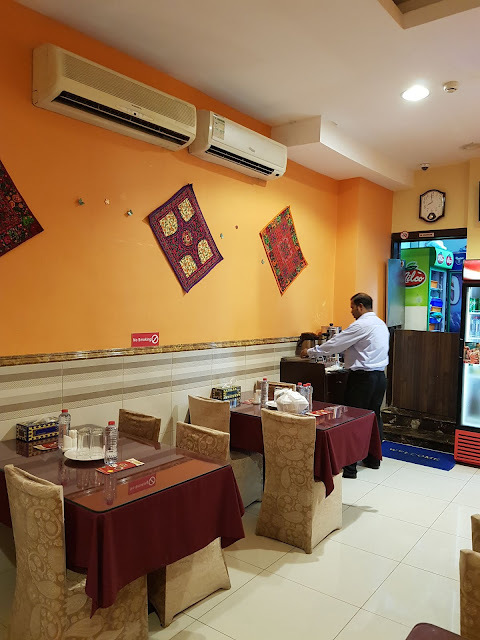 You can have a look at the menu and you'll know that you are definitely spoilt for choice here. They also have the various kinds of milk based on dietary restrictions like Vegan, Nut-free, Gluten-free. This place is located in Al Barsha mall just alongside Baydar. In fact, they're from the same parent company and you can order from both these restaurants simultaneously. I was invited to try out both of the restaurants. Since we had quite a bit of food from Baydar, there were limited items that we had from Sandella's. The food in general was pretty good though. 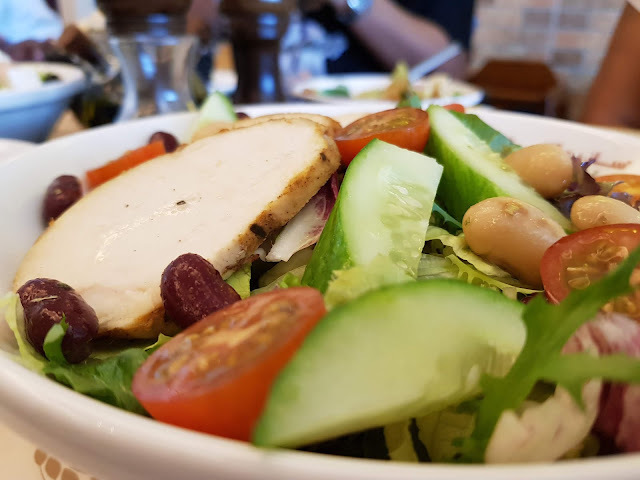 We had the California salad which has lettuce, beans, cherry tomatoes, cucumber, grilled cajun chicken, and is topped with a lemon mustard dressing. I would like to bring special attention to the fact that this dish has got the "Eat Healthy, Live Healthy" logo from the Dubai Municipality. To qualify for this logo, a dish needs to meet certain prescribed standards pertaining to the composition of the ingredients. Click here to read more about it. The pieces of chicken were huge and I really liked it. The salad overall was refreshing.